Masai Settlement, Tanzania: People: Tanzania: Travel photography from around the world, including Cuba, Ecuador, Egypt, Germany, Greece, Guatemala, India, Italy, Japan, Mexico, Morroco, Paraguay, Siberia, Taiwan, Tanzania, and the United States. 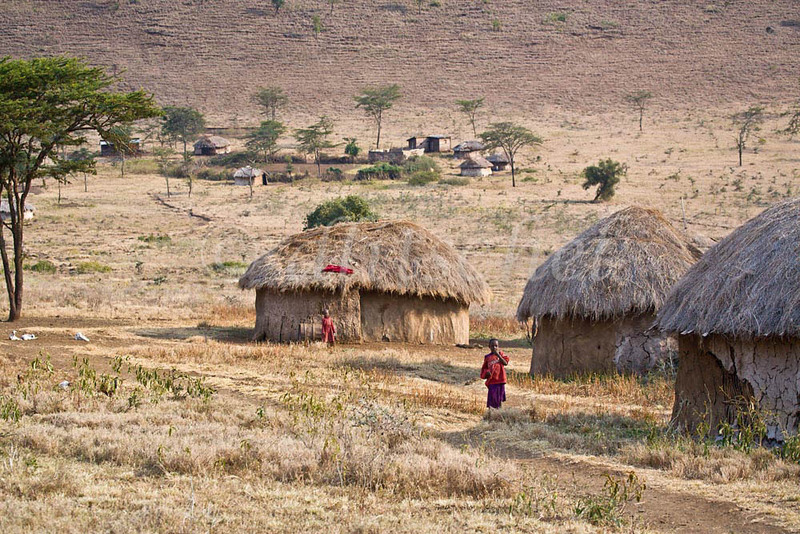 Masai village in the Sinya area of northern Tanzania. Huts are made of cow dung and mud with interwoven branches for internal support. The Masai women are responsible for the construction of the huts. To purchase this image, please go to my stock agency click here.